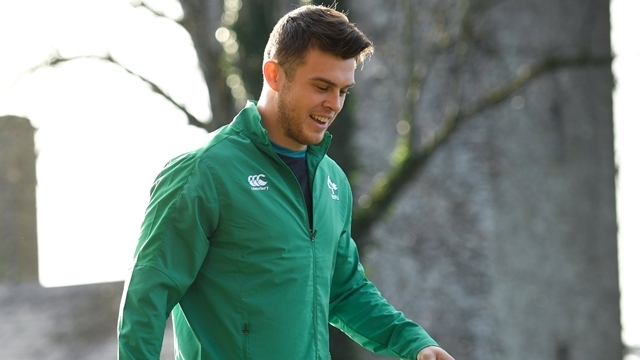 Finlay Bealham, Bundee Aki, Quinn Roux and Kieran Marmion are regulars in Joe Schmidt squads but a few more are pressing their case for inclusion. On Friday night, after Ulster had succumbed to double defeats at their hands, Connacht shared an image of the Guinness PRO14 'Conference A' table. Glasgow, then Connacht, then Munster, and then the rest. The 2016 champions were brought back to earth over the past two seasons but they are looking good under Andy Friend. 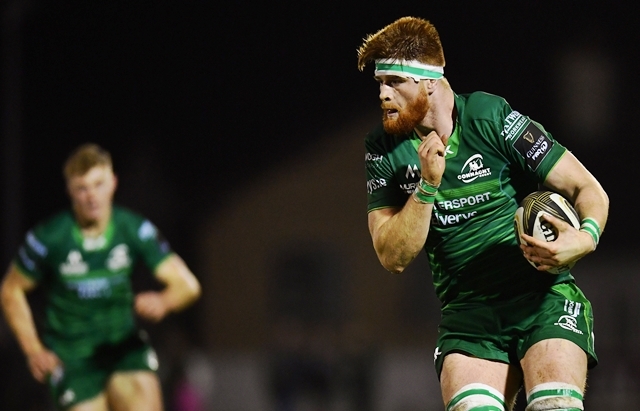 Leinster and Glasgow are the frontrunners this season but Connacht have strung together some notable victories and are looking good. Should they defeat Munster at The Sportsground, next weekend, they will be well set before we plunge back into European action. The Westerners could have been even closer to Glasgow but they conceded tries in time added on, when leading, against Ospreys and Leinster. They really should have punished Leinster for resting several of their senior stars but they let slip a 17-point lead with 15 minutes to go. 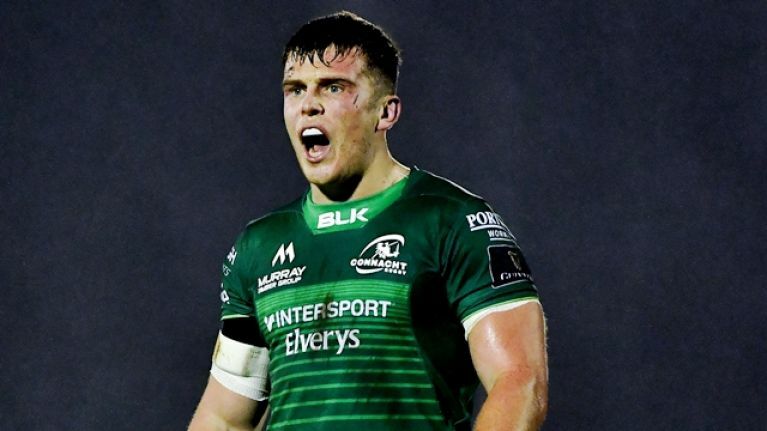 That result will sting for a while yet but Connacht held no hangover from it when they defeated Ulster in Galway on Friday. Their pack bested Ulster's in the scrum, they were livelier in the backline, they mauled well and they made hell out of the Ulster line-out. Australian import Colby Fainga'a was named man-of-the-match but there were several homegrown talents in contention for that accolade. Having watched Connacht closely over the past few months, here are a few more men from the West Ireland coach Joe Schmidt should consider bringing into his wider Six Nations squad for a look. Was called into the Ireland training squad back in November but was not in the mix for any Test matches. Schmidt appears keen on having the midfield option of a big man with good hands in the 13 jersey. Chris Farrell is the frontrunner for this role but injuries have held the Munster centre back, hence Schmidt looking closer at Farrell. Had an impressive 2017/18 and has kicked on again this season. In his 11 outings so far, the Dubliner averages 10 carries, 34 metres gained, three defenders beaten, nine tackles. He has three tries and another three assists for tries. His line-break and offload set up a fine Darragh Leader try against Leinster while he showed he could dig in and make hard, thankless carries against Ulster. Ireland have Johnny Sexton as the clear No.1, with Joey Carbery as his deputy. Ross Byrne is next up but there's nothing to say Carty could not get a call-up, especially if his excellent run of form, and on-field leadership, continues. Impressed in the two-game spin to South Africa, was man-of-the-match against Leinster at The RDS - setting up Caolin Blade for a try and scoring a fine one of his own [below] - and he was a class act in the win over Ulster, managing the conditions and game circumstances extremely well. Is flourishing under Andy Friend and backing up those that placed their trust in him. Ronan O'Gara speaks highly over the Roscommon native and it could be worth bringing him up to Carton House for some training runs. 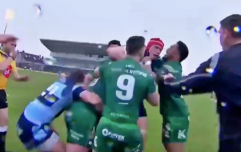 The former Ireland U20 captain has long been tipped to be a fine player for Connacht and he is starting to show just how good he can be. Can operate in the second row but is doing a fine job of it in the back row. Like James Ryan, a former U20 captain himself, he has the ability to engineer gainline success in situations loose and tight. Benefitting from a run of fitness and form, O'Brien has become a key player for Connacht and is often an 80+ minute man. A couple of man-of-the-match medals picked up already this season and another that could flourish in the Ireland senior set-up. Lots of competition in second and back row but worth a look now that Iain Henderson is recovering from surgery. This one may be more wishful thinking because on his day, Buckley takes some beating. 28 years old now and still uncapped for Ireland. 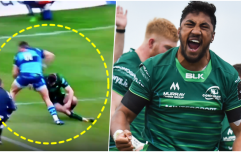 If it was down to scrummaging alone, Buckley would be in every Ireland squad. Gave Michael Bent a right doing up at The RDS and repeated the dose to Marty Moore at The Sportsground. Buckley's work around the breakdown has improved greatly in the last few seasons and he is a hard man to take down when he is in form. Consistency and discipline are his two big work-ons. On Friday, he conceded two sloppy penalties in an otherwise solid performance. Would love to see how much better he could be with even a few camps under the watchful eye of Schmidt.